Do you want to try out different colors on your walls, without touching a can of paint? Using Photoshop to virtually color your walls can help you to plan out your next remodel. 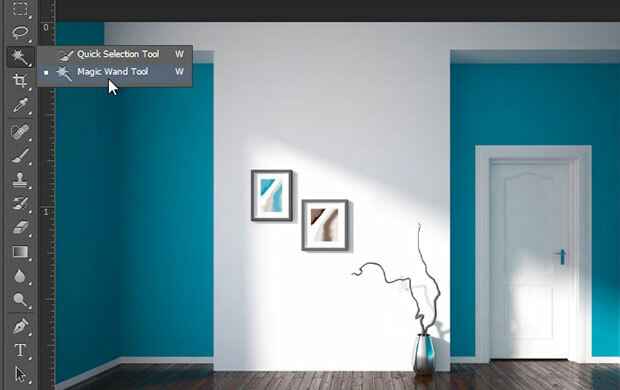 In this article, we will show you how to paint your walls in Photoshop. You may need to make a few adjustments to your selection until it is really accurate. With the Magic Wand Tool, we had to click again on the corners and around the edges of the blue colored portions of the wall until it was fully selected. 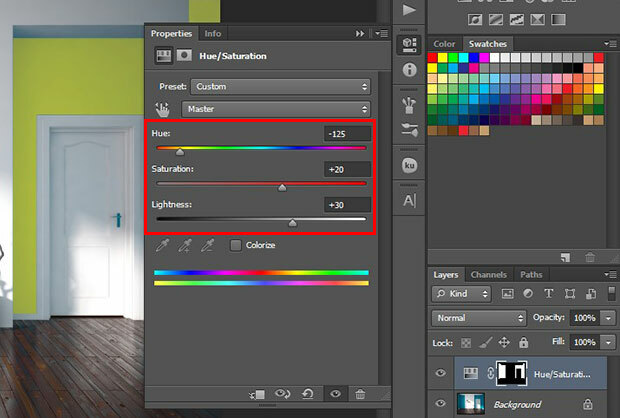 After creating the selection, simply go to Layer » New Adjustment Layer » Hue / Saturation to change the color of the walls. We chose a Yellow theme for the walls, so our Hue is set to -125. The Saturation is set to +20, and Lightness is set to +30. If you are working for a client and you need the result to look perfect, then you can select the areas where you see the shadow reflection of the color and repeat the same steps above to apply the Hue / Saturation settings you used on the wall. 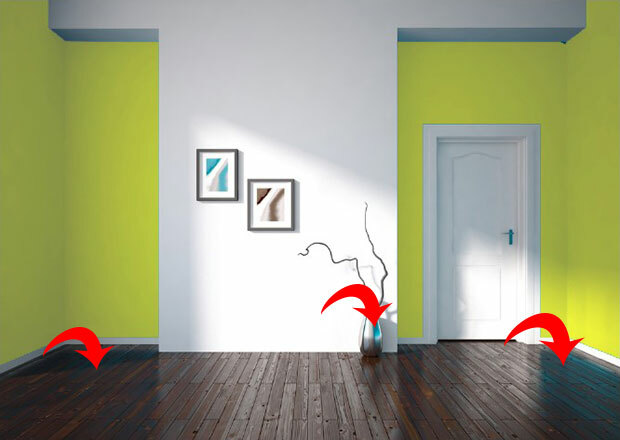 We hope this article helped you to learn how to paint your walls in Photoshop. You may also want to check out our guide on how to make a portrait look like a paiting in Photoshop.